Real Insurance is offering fans the chance to win the ultimate Supercars experience each event, by selecting the standout moment in years gone by. This weekend the Championship tackles the first long-distance race of 2016 at the Wilson Security Sandown 500. The historic race has produced so many great moments it’s difficult to narrow them down – here are some of the standouts from recent years. Vote for your favourite below. One of the standout finishes in recent years, Mark Skaife’s tussle with Jason Richards in hideous weather at Sandown was an exciting battle between the mighty Holden Racing Team and gutsy Kiwi Team Dynamik. An electrical issue for HRT meant Skaife was shutting down whatever he could to keep the car going to make the end of the race. Richards took a dive – on lap 140 of a race reduced to 141 laps – but came unstuck to end up in the ditch, while Skaife, partnered with Todd Kelly, wrestled the Commodore home first in 2003. 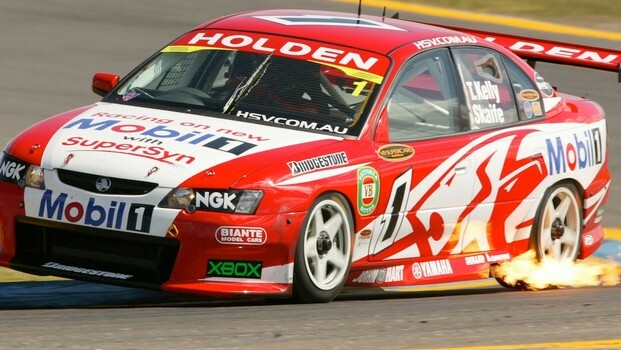 ‘The Enforcer’ called it a “rookie mistake” talking to supercars.com about the 2003 Sandown 500 10 years later. Paired with Marcos Ambrose, who was leading before their pit stop, Russell Ingall didn’t pump the brake pedal during his driver change after struggling with the belts and speared into the gravel on his first lap in the car. The untold part of the story, though, is that he was able to race back up to fifth in the horrendous weather conditions to earn a good haul of points for eventual title winner Ambrose. Of 100 races won, six-time champ Jamie Whincup races this his second best career victory in Supercars. Hit with a drive-through penalty after spinning wheels in a pit stop with driver change, car #1 still pushed through the field showing incredible speed to take the 2013 Sandown 500 with Paul Dumbrell and extend Whincup's championship lead. A moment of comic relief early on in the hard-fought 2014 – watching on as co-driver Dean Canto was behind the wheel, David Reynolds pinched fan favourite Craig Lowndes’ signature line, giving the kids a shout-out on the coverage. Reynolds/Canto finished ninth while Jamie Whincup/Paul Dumbrell backed up the previous year’s results to win two in a row.